Home / Germany / Solidarity with the Solidarians – We are all #Linksunten #Indymedia! Solidarity with the Solidarians – We are all #Linksunten #Indymedia! German territory: When the exchange platform and the leftist medium linksunten.indymedia was banned in the summer of 2017 in the course of the G20 protests, it didn’t take long for three Berlin journalists to take the initiative and show their solidarity with those affected and resisted the ban with an article. Now they are prosecuted themselves – the accusation: use of the trademark of a forbidden association and support of this association. Originally published by Indymedia DE. Edited machine translation by Enough 14. 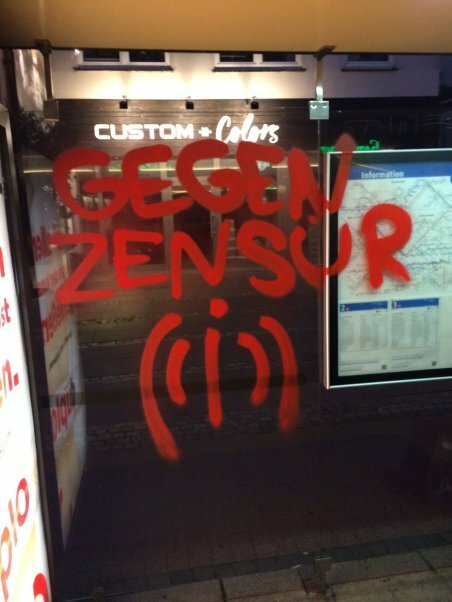 While many were busy dealing with the events immediately around the G20 and the ban order imposed by the Federal Ministry of Interior met with neither great response in the left-wing scene nor in the media, the three journalists have declared their support for Linksunten on their blog and announced that they will make their now banned Linksunten articles accessible again. Now they were charged themselves – the central accusation: supporting a forbidden association as well as using a sign of a forbidden association by means of a screenshot of the ban order itself, which contains the alleged association logo of Linksunten. It becomes clear that not only an important independent media outlet and part of opposition media coverage has been banned, but also any criticism of this ban – be it radical left or liberal civil society – is being criminalized. The public prosecutor’s office in Berlin is obviously neither too sorry for the legally absurd construction of wanting to punish the publication of a screenshot of a state product itself, nor is there apparently any political concern about the totalitarian tendency to criminalize any criticism of state bans. We are glad that the authors are not intimidated by this and are going on the offensive. We are calling for solidarity with those affected by the ban of Linksunten! Be it through articles, actions, trial observations or donations for repression costs! More info on their blog systemcrashundtatbeilinksunten and http://www.berlin.rote-hilfe.de/anklage-gegen-drei-berliner-journalisten-wegen-indymedia-solidaritaet/ (Both German).